hgpu.org » Applications » Computer science » OpenCL Floating Point Software on Heterogeneous Architectures – Portable or Not? OpenCL Floating Point Software on Heterogeneous Architectures – Portable or Not? 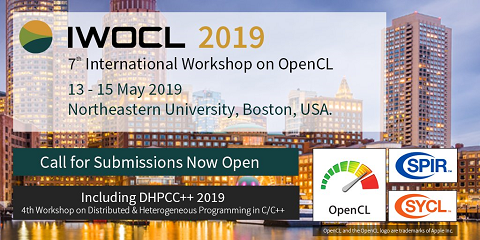 OpenCL is an emerging platform for parallel computing that promises portability of applications across different architectures. This promise is seriously undermined, however, by the frequent use of floating-point arithmetic in scientific applications. Floating-point computations can yield vastly different results on different architectures – even IEEE 754-compliant ones -, potentially causing changes in control flow and ultimately incorrect (not just imprecise) output for the entire program. In this paper, we illustrate a few instances of non-trivial diverging floating-point computations and thus present a case for rigorous static analysis and verification methods for parallel floating point software running on IEEE-754 2008 compliant hardware. We discuss plans for such methods, with the goal to facilitate the automated prediction of portability issues in floating-point software.